Baby is turning 1!!!! Shots Orlando has officially been an active part of your social nightlife for one whole year! 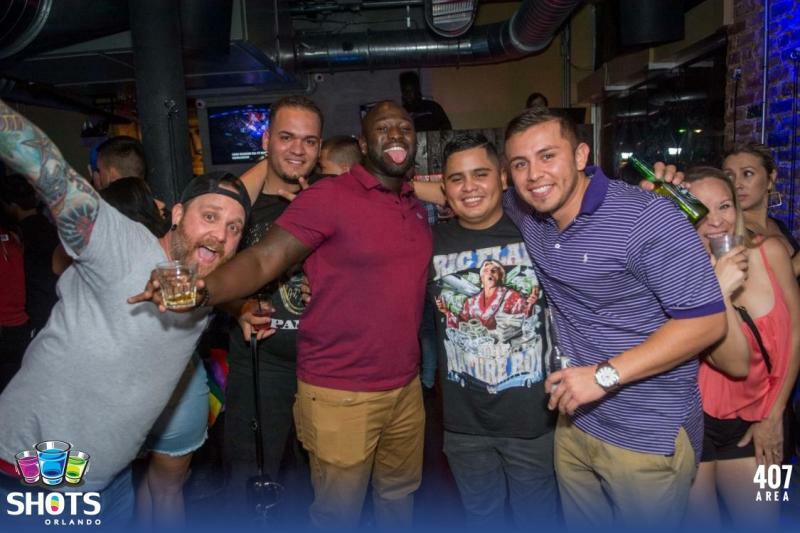 Celebrate 365 days of drinks and nightly parties in Downtown Orlando at Shots this Friday! Whether it's your birthday month, you are kicking off Halloween in Orlando early, or just want to live your best life come funnel a few celebratory cocktails and raise a glass to SHOTS Orlando 1 Year Anniversary starting at 8pm! Grab an Uber or Lyft, grab your friends, and hit Downtown Orlando. It wouldn't really be fair to ask anyone to be a DD with all the specialty shots, great DJ's and shenanigans going on starting with OPEN BAR well drinks from 8pm-9pm. 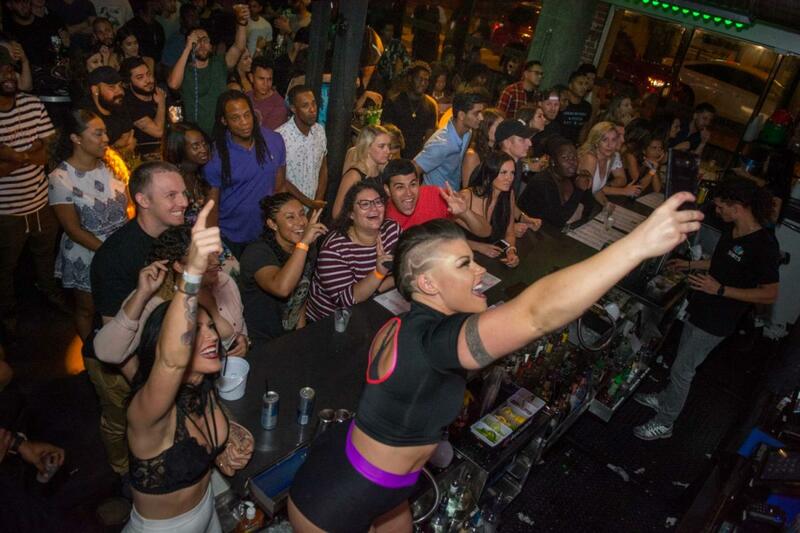 SHOTS Orlando is the only Downtown Orlando Nightclub that features over 50 different specialty shots and drink specials in Downtown Orlando, like "The Tinder Hookup", "Gin of Thrones", "Morning Wood", "Wildfire", and "Awesomesauce". With names like those, there is here definitely a perfect shot for everyone. Got a group? Nothing brings friends closer together than telling stories around a good old campfire. Try a group "Campfire" shot, complete with an open bar flame and real marshmallows for you to toast, while you toast! Cheers! Get there early for your thank you freebies at your soon to be favorite Downtown Orlando Bar. As a thank you to our loyal guests, there is an open bar for well drinks from 8 to 9 to get this party rollin! It's hard to believe how quickly time flies, so for all of you that have been here rocking out with us we'd love to treat ya to a hell of a bash! 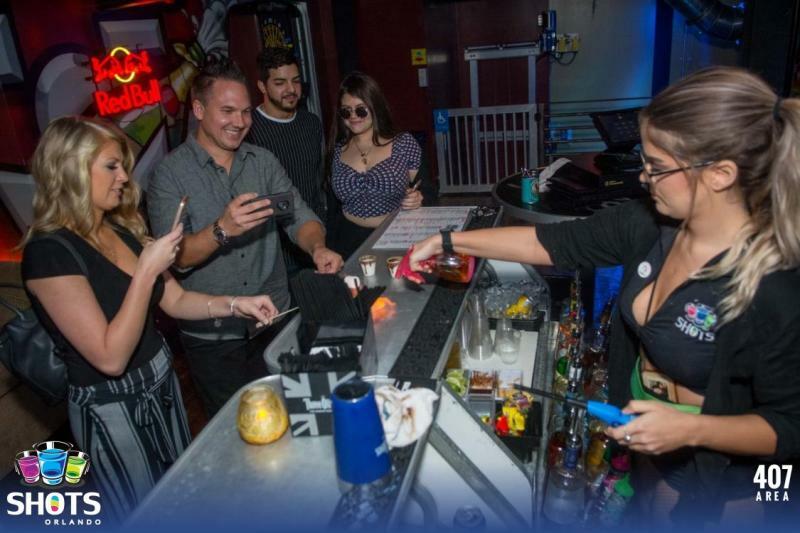 Connect to SHOTS Orlando business page on 407area for daily drink specials, special events and parties happening at Shots in Downtown Orlando all year long.